Wow, what can I say about this film? 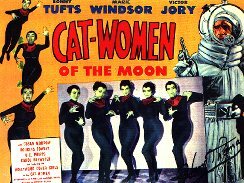 Astronauts travel to the moon and discover a race of beautiful cat women who haven't seen a man in years. 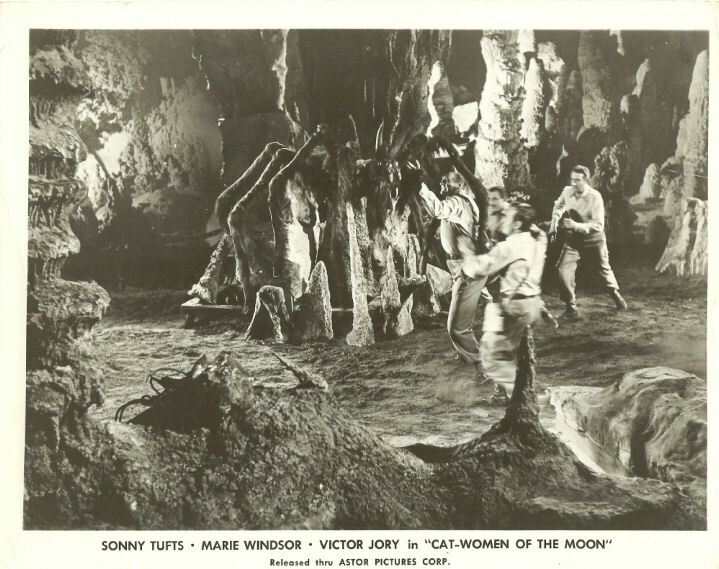 The cat women have plans to take over Earth and even keep a giant moon spider in the cave to protect their moon gold. My friend, Harry Thomas, did the make up for this film in 1953. 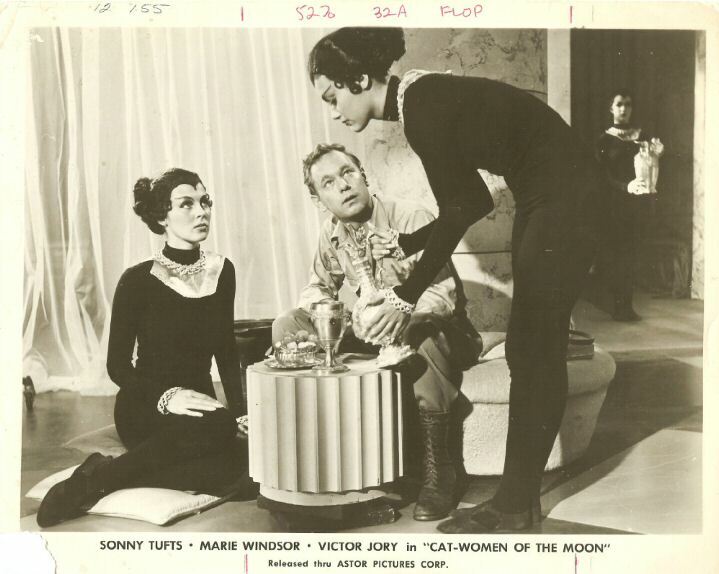 When I asked him about his favorite memory working on the film, he told me that he had designed the make up for the cat women. 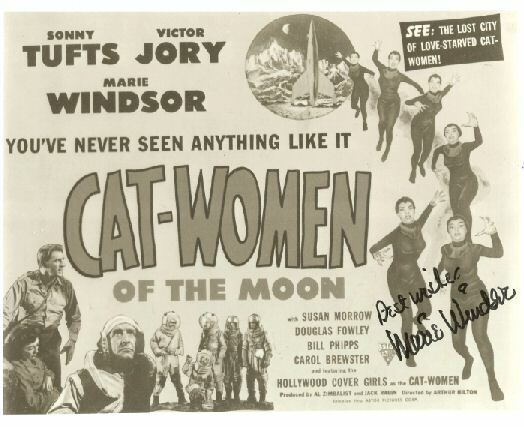 The producers hired beauty queens to play the cat women and asked Harry to make the women beautiful and exotic, on a very low budget with very little time of course. Harry designed, created, and applied these hair and latex appliances to each woman's forehead, giving her a widow's peak. The hair was then combed back with her wig. Harry also recalled that several actresses usually became frustrated after a long day of filming, and quickly ripped the appliances off, either unknowing or uncaring that Harry would have to repair and reuse the appliance for the next days filming. 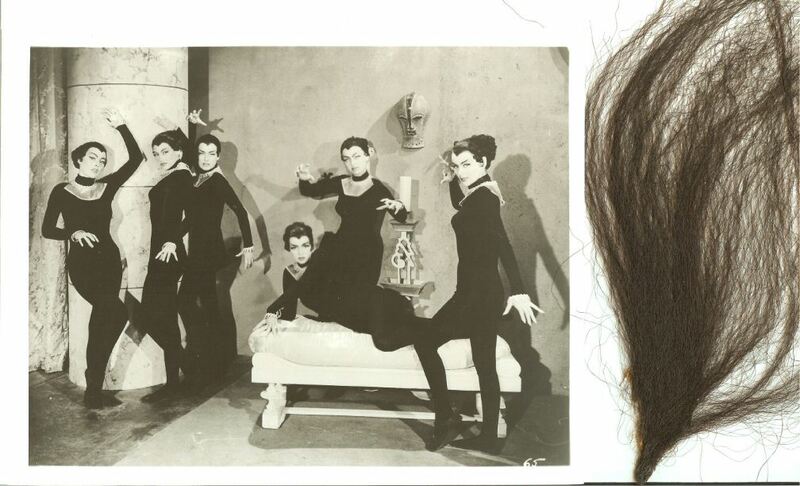 Below is a photo of the cat women and one of two remaining hair appliances, one of which will be sold on eBay this Halloween. Also, an original 11x14 lobby card autographed by Harry Thomas, a photo autographed by Marie Windsor and a few more photos.